These are the Strange Times, a period in history where the "mainstream" is being fed by so may bizarre tributaries that there is no central narrative anymore. Arguably this was happening before the internet plugged everybody into everybody else, but now it's impossible to ignore. We are living in a time when anyone can access the fringes of humanity and then identify with them. If you awoke from this world, you would say, "That was a very strange dream." Ironically, there's barely any true weirdness left in the Strange Times. It all changed flavor when strange became commonplace. I reckon this happened within the last ten years, as the information age kicked into high gear. So many people are defining their own norms that there is no abnormal left. Even if you're the one blue haired girl in white bread town, you know you're not alone, not really, not anymore. We're eclectically ecstatic, subculturally pragmatic. Culture is additive, it keeps building on itself. I was recently dragged to see this terrible vampire movie. It occured to me that this particular retelling of early 18th century folklore was told with an awareness of all the other iterations on the same myth. Lost Boys, Anne Rice, Blade, all that crap is a real part of the subtext and expectations of any "Vampire" movie. The teenagers who are just now getting into vampires have identified with this particular twist on the myth. It's got all that darkness and goth and romanticism built into it, but ornamenting this year's fashions. As we move forward, stuff just keeps getting more nuanced and complicated. 370 movies were released in the year 1995. By 2005, they were making 549 movies per year. By 2015 we'll be drowning in cultural reference points. And because this is the Strange Times, no variation of any myth is truly weird anymore. We've seen the Vampire in a bewildering cavalcade of guises: the hero, the beast, the wanderer, the wiseman, the trickster... We keep trying new combinations and hope that it makes for an interesting juxtaposition. To some extent, the only weirdness left is in novelty. Challenges to our expectations are the only things which startle us, which make us step back in wide-eyed confusion. The weirdness is in the rare media which isn't just antithesizing and synthesizing existing ideas. Living in the 21st century, we have all this information being fired at us, bouncing off the prismatic information we've already internalized. Everybody's mind is made of differently shaped prisms. And to some extent, that's your identity. Everybody sees a totally unique spectrum. Isn't that weird? So if we want to find the Weirdness in the year 2009, we just have to look around. Pick out some random pedestrian and I guarentee he has talents and tastes and interests which are vastly different from yours. There is a fractillian chasm between you and even your closest of friends. How can you judge me weird for being obsessed with pure nonsense, when you haven't missed a women's basketball game in ten years? And you think I'm weird? It's a wonder we can even communicate. To contextualize this internal weirdness, people seek out others with their particular quirks and interests. And when a group of people get together, their identity politics become "legitimate", they becomes "real". Maybe you thought you were the only woman attracted to balloons or rubber snakes or whatever, but soon you will learn that no fetishist is alone (on the internet they call this phenomenon Rule #34). Interest groups attract newbies, they become a location for discourse about these topics, and their very existence thereby perpetuates itself. This is the Strange Times and no niche is too narrow to acquire a cult of fanatics. 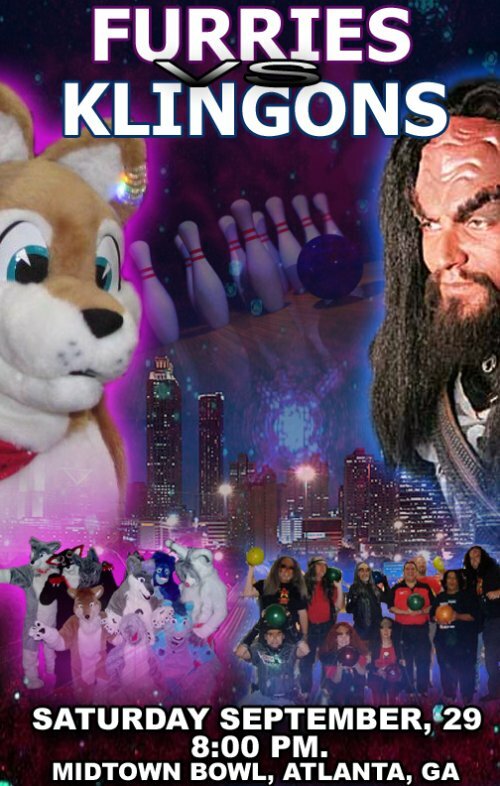 That's why there's a "Furries vs Klingons" bowling tournament in Atlanta. That's why even the fringes of conspiracy nuts have their own subsects to separate the credibile from the insane. That's why, for some reason, I own boxes of rubber snakes and balloons and fake moustaches. This discussion has been about trying to conceptualize the weirdness in the weirdest era in human history. Buy what does that even mean? I find it a bit like someone waking up and saying, "I had the weirdest dream last night." Do tell, if that dream was so weird, what is a normal dream like? All dreams are weird, as are all dreamers. Luckily, your weirdness isn't a barrier anymore, it's a channel through which you can find the others. All people are weird, and we have that, ironically, in common. This page was last modified on 6 January 2009, at 22:11.